Impact Resistant Roofing Shingles and Material is a relatively new option for residential and commercial building applications. 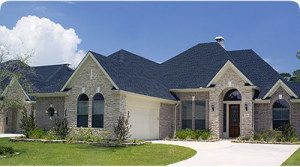 Richardson Roofing believes Impact Resistant roofing shingles can be a great option for many homeowners. Arkansas receives more than its fair share of damaging hail so this option is one worth consideration. Between 1991 and 1995, wind and hail caused an average of $8 billion in insurance payouts each year. Wind and hail damage to roofs comprises a significant portion of this cost. Hail damage to asphalt shingles may include severe granule loss, material loss at shingle edges, and penetration. 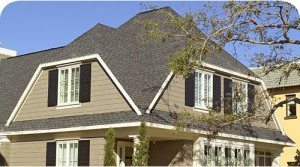 New Impact Resistant shingle products are designed to resist damage from impact and high winds. They meet the most stringent standards for impact resistance (Class 4) set by Underwriters Laboratories (UL), and wind resistance set by UL and the American Society for Testing and Materials (ASTM International). Several manufacturers offer asphalt shingles designed to resist the effects of severe weather such as wind and impact from flying debris or hail. Different proprietary methods are used to keep granules attached to the shingle, to prevent shingle breaking during impact, and to keep shingles attached to the sheathing during high winds. UL 2218 classifies the resistance of roofing products to impact damage. In the test, steel balls are directed at roof samples, and damage is observed. Products that receive a Class 4 rating from UL 2218 are the most resistive to hail damage. Some major insurance companies are offering homeowner premium discounts for the use of roofing products that receive a Class 4 rating. Consult with your Richardson Roofing expert for details on these discounts.